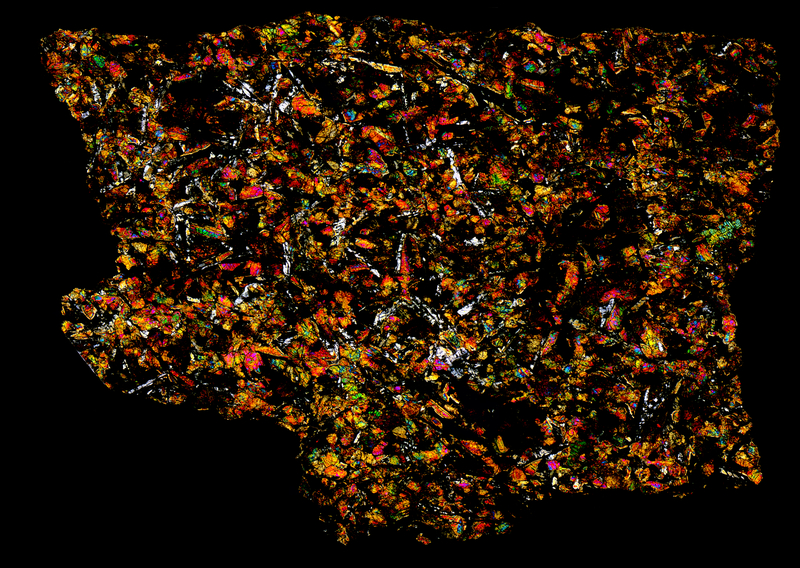 A fascinating polarized thin section specimen of NWA 2977. 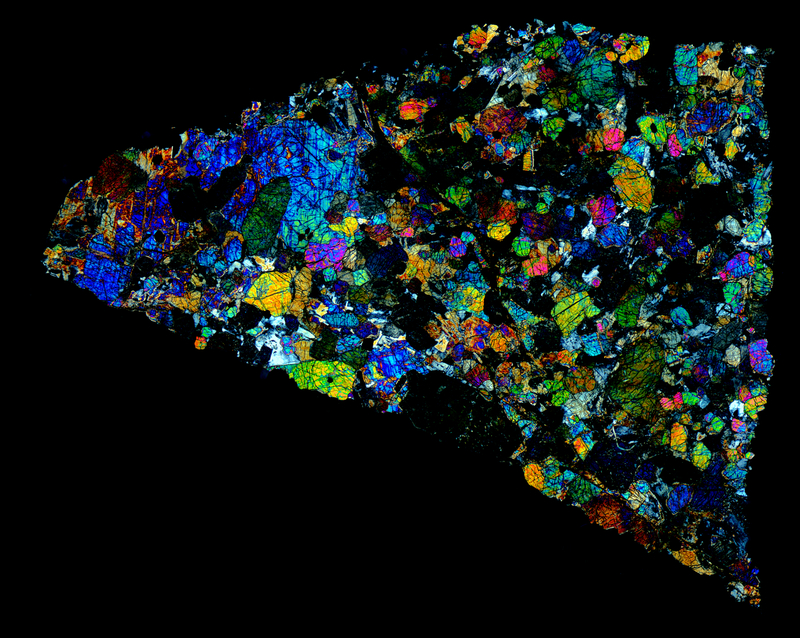 This meteorite, classed as a Lunar Gabbro, provides researchers a rare sample of the ancient lunar basalt while providing aesthetes a beautiful look at lunar history. Likely ejected from a lunar mare, NWA 4898 provides an exciting glimpse at the magma flows on the surface of our ancient partner. 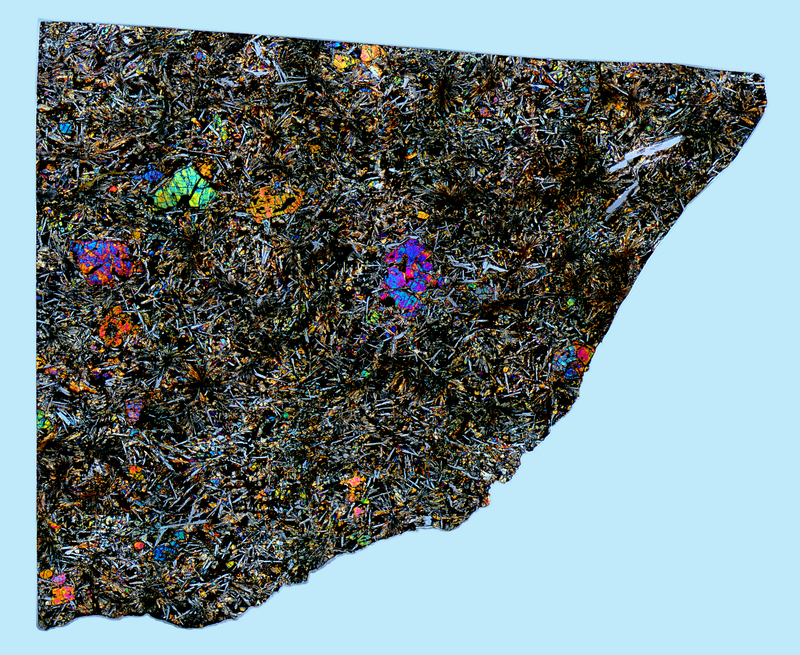 In particular, pay attention to the fascinating spherulitic objects scattered throughout the matrix. And be sure to read more on this incredible meteorite at Meteorite Studies and Randy Korotev’s site.